The money question is blunt: should you pay -- will you pay -- to make deposits with your smartphone by clicking a picture? Know this: Some banks charge for mobile deposit, typically at 50 cents a deposited item, sometimes more. It may be free at your bank. Most in fact offer it as a gratis perk, said Bob Meara, who tracks banking for research firm Celent. "The vast majority of banks offer the option with no charge," he says. For instance, at Amplify, Karen Pollack, a vice president at the Austin-based credit union, said, "I don't want to charge the member -- we don't want to put fees on our members back." At that institution, photo deposit is free. But there are some institutions that are imposing fees and the question has to be asked -- in the fee-happy banking universe of today, will more banks follow? 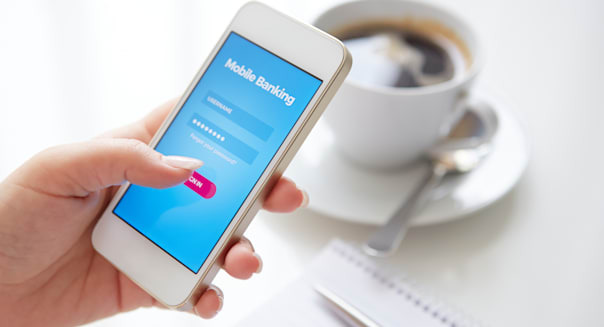 This matters, because mobile deposit is one of the hottest features in mobile banking. So-called mobile remote deposit capture (abbreviated MRDC in the trade) has proven to be a hit with consumers. And why not? You could get in your car and drive five miles to the nearest bank branch and wait in line to deposit the $5 birthday check from Aunt Tillie (that's $2.50 in expense, calculated at 50 cents a mile) or you could slap the check on your dining table, call up a mobile app and, inside a minute, send the image of the check to your bank or credit union. By federal law (the 2004 Check 21 Act), that image is as good as the real, paper product. Financial institutions, too, reap savings when you use MRDC. Some experts claim that the cost to a bank of a teller line deposit is $4. The same deposit made via MRDC costs maybe 40 cents. So why do some banks charge? Among those that do are U.S. Bank in Minneapolis, a top-10 bank. Also known to charge is Regions, based in Birmingham, Alabama, and KeyBank, based in Ohio -- both large regional institutions. Many small banks are also said to charge for MRDC. At Regions, customers are presented with a menu of fees for mobile deposit. Want the funds in the deposit immediately? That will cost you 1 to 3 percent of the check, depending on the type and amount, with a $5 minimum. Want the item processed that night, so it is available for items processed that same day? That costs $3. You'll settle for standard availability? That will nick you 50 cents. "Deposits made before 8 p.m. Central time will typically be available in two business days," Regions said. "Saturdays, Sundays and federal holidays are not business days." At U.S. Bank, there is a fee of up to 50 cents an item. As for the rationale behind the fees, Leon Majors of Phoenix Marketing International's Payments System Practice said that some banks want to recoup their costs of offering the service. That's despite the money saved compared to the costs of using a teller. What should you do if your bank charges fees? If the fee is for a basic, straightforward MRDC transaction, think about changing banks. Said Majors: "Personally, I would look for a [bank] that offered the service for free (mine does), compare that to the cost (some people write almost no checks now) and then compare that to the hassle factor of changing financial institutions." But maybe not all fees are evil. Meara is a fan of the service -- as offered by Regions, for instance -- that will make funds deposited via MRDC available immediately for a fee. He explained: "We do think some banks have a good idea in charging consumers for accelerated funds availability as an option. This has been a big hit among small businesses, for example, that might get paid by check at the end of a job and need the funds immediately to pay workers." It might even be a good idea for some consumers. If your rent check will bounce unless that $500 loan from your brother -- paid via personal check -- is immediately credited to your account, paying $10 or $15 for fast access might be economically wise. The lesson: not all MRDC fees are entirely anti consumer. But if the fees rub you the wrong way, know that at the biggest banks -- Chase is a case in point -- and at most credit unions there currently are no fees for using mobile deposit. It's your choice.